Find Pre foreclosures before they hit the market in Derwood, MD — before they are even listed – at Foreclosure.com. There are currently 1 pre foreclosure homes in Derwood, MD, that are potentially available for sale at drastically reduced prices. We know how to find pre foreclosure listings for free in Derwood, MD, and share that valuable information, as well as how to contact a homeowner facing foreclosure with sample pre foreclosure letters and marketing templates. 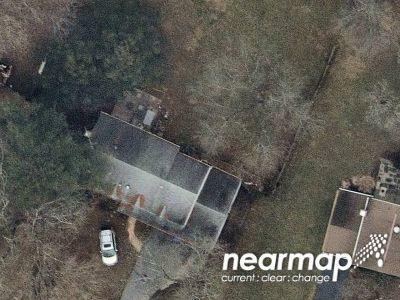 Find pre foreclosure homes in Derwood, MD, contact the homeowners and possibly save up to 75% off market value with help from Foreclosure.com. Derwood is an unincorporated area and census-designated place in east-central Montgomery County, Maryland. It lies just north of Rockville, southeast of Gaithersburg, southwest of Olney, and northwest of the greater Silver Spring, Maryland area. Derwood, originally "Deer Park" then "Deer Wood," is home to approximately 15,600 people. Derwood includes the neighborhoods of Derwood Heights, Derwood Station, Mill Creek Towne, Needwood Estates, Muncaster Manor, Muncaster View, Hollybrooke, Granby Woods, Park Overlook, Redland Crossing, Candlewood Park, Cashell Estates, Avery Forest, Avery Lodge, Avery Village, Bowie Mill Estates, Bowie Mill Park, Winters Run, Redland Station, Rolling Knolls, Emory Grove, and Shady Grove Crossing. Between 2009 and 2011, Maryland Route 200 (also known as the Intercounty Connector or ICC) was constructed directly through central Derwood affecting Cashell Estates and areas near Shady Grove Road. Derwood was first recognized in the 1880s as a train stop on the B&O Railroad, which is now the intersection of Indianola Drive and Maryland Route 355 in Derwood Station. A second, larger railroad station was built in Derwood from 1886-1889. In the early 1900s, a small community grew up around the station.